Make history for your business while exhibiting in the historic great American city of Memphis. Choose from one of our eye catching trade show display systems to give your business an edge while exhibiting at the Memphis Cook Convention Center. When the job is done, don't miss the opportunity to explore the important historical museums that are walking distance from the convention center, including the National Civil Rights Museum in the Loraine Motel and the Memphis Rock & Soul Museum! 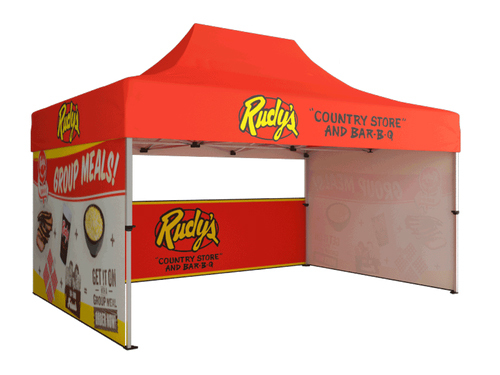 A trade show booth captures people's attention and helps you promote a product or service. They make both the general public and businesses aware of your product or service. Where is the Memphis Convention Center Located? The Memphis Cook Convention Center is located at Cannon Center, 255 N Main St, Memphis, TN 38103. The home of blues, rock and roll, and barbecue is the perfect place to hold your next convention, meeting or event. It is important to be aware of your goals before your get a trade show booth. It is important to know these goals because they will affect how your trade show booth is presented. For example, if you want to attract a lot of people to your booth then you might want to use a display with many bright colors. If you want to appeal to a more niche crowd, then you might want to put certain pictures that will appeal to that niche on your display. Whatever your goals are, make sure that your booth will help you meet those goals. Being unique is crucial to the success of a company or product. If your company or product is not unique, then it is prone to getting lost among all the other companies and products. Whatever makes your company of product unique should be its selling point. Make what sets your company or product apart from all the other companies and products a vocal point of your advertising and booth. This will make people go to your booth because there will be nowhere else to go for your exact product or service.